One of the things I love about this challenge has been learning the different ways to work with gelling agents. Through some research and books, I discovered this interesting way to create clouds and bubbles within the jelly. Relatively simple, you need to just make a variety of different coloured jelly, scrape them and combine them together with one jelly mixture. For this particular first time effort, I had a three flavour combination - raspberry, white peach, and white wine. The clear bits and the softer peach tones are slightly overpowered by the red raspberry colour but nevertheless, it is still rather pretty especially when it is sitting on my new handmade Bitossi bowl (I love the varying lavender shades of it). 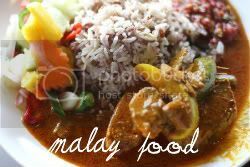 Maybe one can go wild and add more colours but I can imagine it will look rather rojak after some time. Get ready three individual bowls. 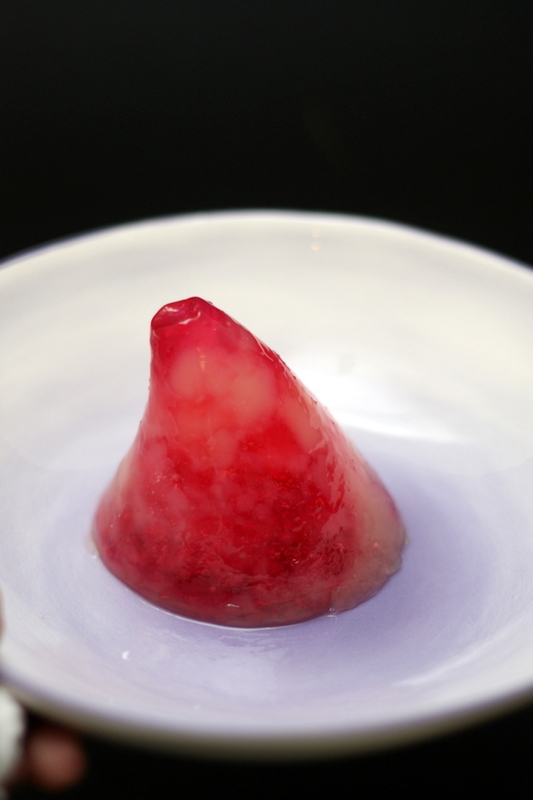 Make the white wine jelly by combining 1 tablespoon of softened gelatine powder and a little hot water to melt. Sieve and pour into a bowl. Freeze for 15 minutes. 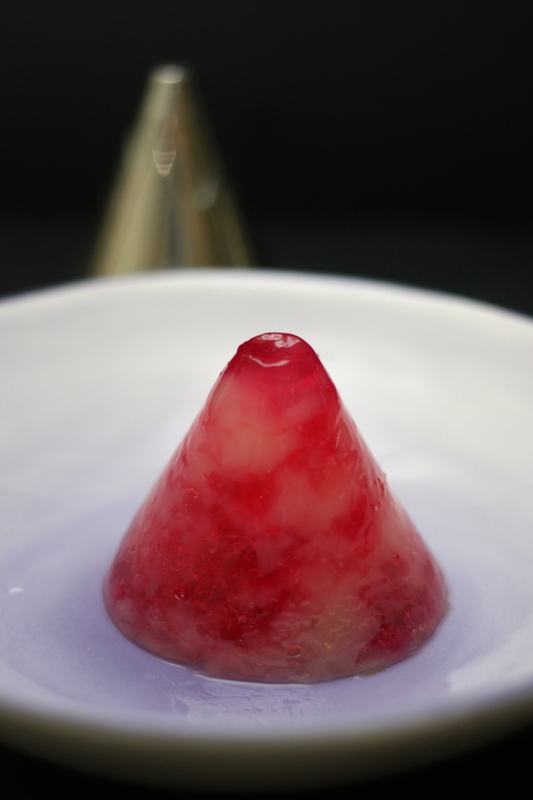 For the raspberry jelly, melt jelly powder with 100ml hot water. Combine 1 tablespoon of softened gelatine powder. 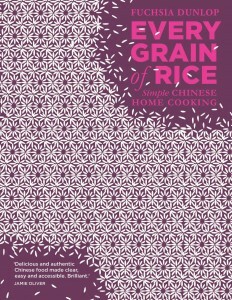 Sieve and pour into a bowl. Freeze for 15 minutes to set. Soften 1 tablespoon gelatine powder. Add 1 tablespoon hot water to melt. Add to white peach juice and whisk to combine. Sieve and pour into a bowl. Freeze for 15 minutes. 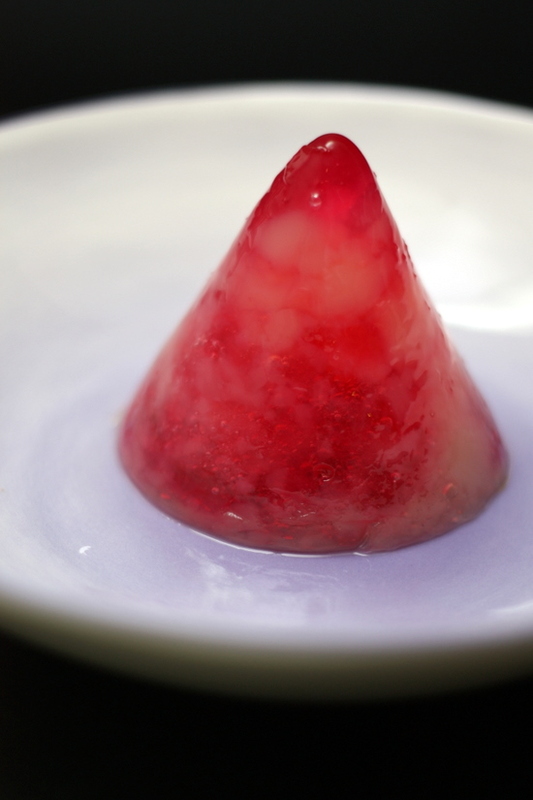 Remove set jelly from freezer. Scrape each jelly with a fork. Mix together all three flavours. 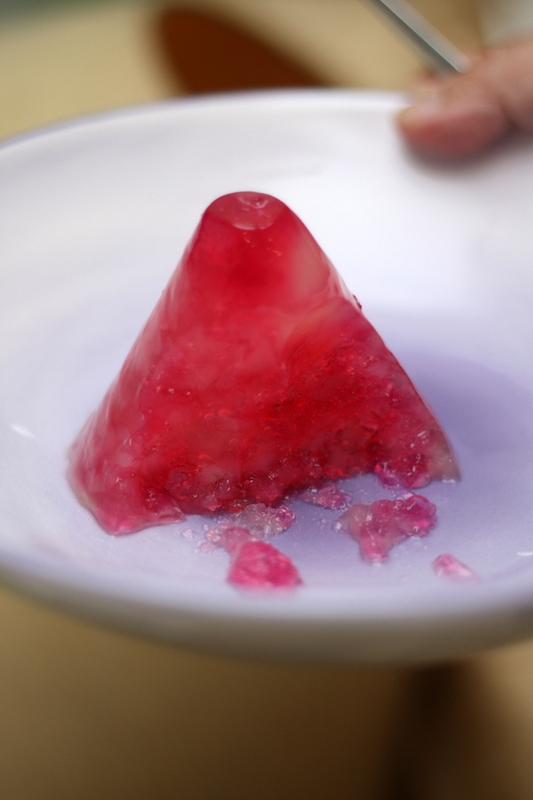 Make remaining jelly with 100ml water and 1 tablespoon softened gelatine powder. Put a little of the scraped jelly in the mould. Pour clear jelly mixture to bind. Add more scraped jelly and jelly mixture until it reaches the top of mould. Repeat for second mould. Chill for at least 5 hours. Unmould and serve immediately. Beautiful jelly. I wish I'm a jelly expert so I can make better goodies for my sister. hehe. yummy! love the colour, but can I omit the wine? what would this do? 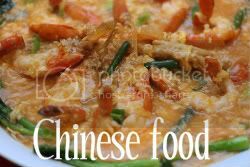 Its a great recipe I will try it at my home with my parents. But I want to do some topping of caviar on it. lets see which kind of caviar or caviar paste I will chose for this. Such terrific colours! And i went thru ur last few posts and those were amazing too! Sara - it is so simple to make and very effective too! Michelle - I found them in KL and I must admit the raspberry one is damn good. Was polishing this off quickly. Iva - yes, you can omit the wine, just make it with say lychee? All you need are 3 flavours you like to combine with varying colours. Life for Beginners - hee hee, I wonder what Beatles song will go with this. I love the texture and look of this. Munir - maybe do the salmon mousse with caviar? Rebecca - LOL, yes I've been frozen in time with jelly for 1 month I reckon. So much that I eat, dream and make jelly.